Unplug from your busy life and connect with yourself, each other and the natural world. 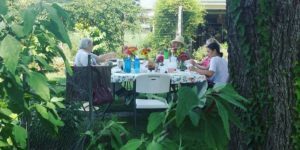 Join us for Art in the Garden and enjoy the simplicities of an art-full life; creativity, community and cuisine.Walk away refreshed, rejuvenated and well-fed from the inside-out! 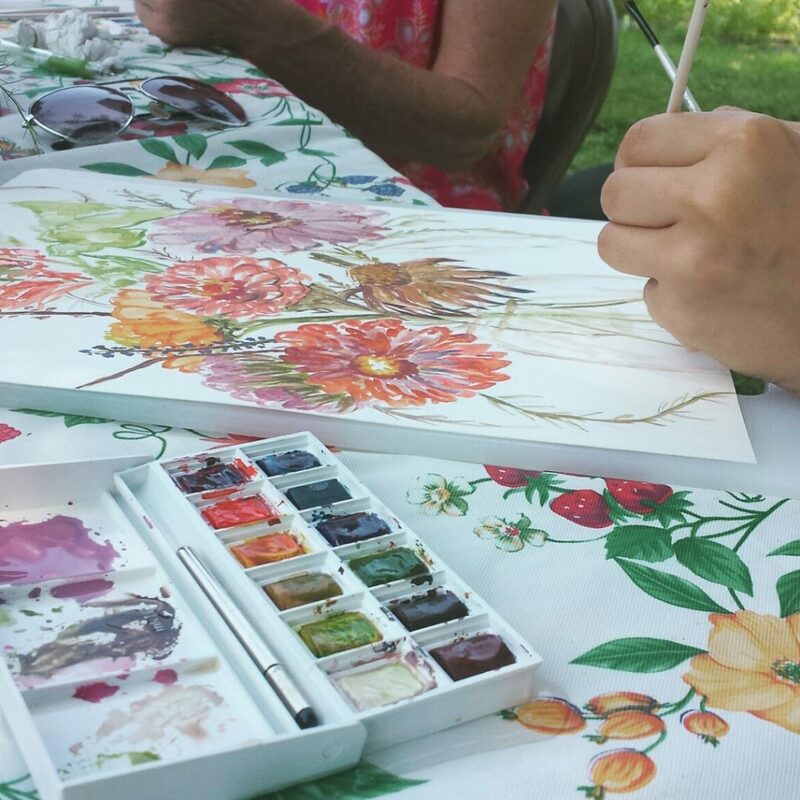 Art in the Garden is where life and learning merge with nature and creativity. Learn basic painting techniques while you also learn about the creative process and how it relates to life and stress-reduction. Experience all this plus you’ll enjoy a tasty lunch! Experience the good life through an outdoor (plein-air) guided watercolor class with artist and integrative leadership coach, Annelies M. Gentile of Conduit for Change followed by a light-n-tasty vegetarian farm-to-table picnic lunch straight from one of Raleigh’s best kept secrets, the Well Fed Community Gardenalso owned by Irregardless Cafe. NO EXPERIENCE NEEDED. SEASONED ARTISTS & CURIOUS CREATIVES WELCOME! Have an iPad?? Try digital painting!! Please, registration is REQUIRED. Includes class, supplies, and lunch. All events will be held outdoors. Please wear weather appropriate clothes and shoes. No dogs. Please sign up here to choose the date of your choice.